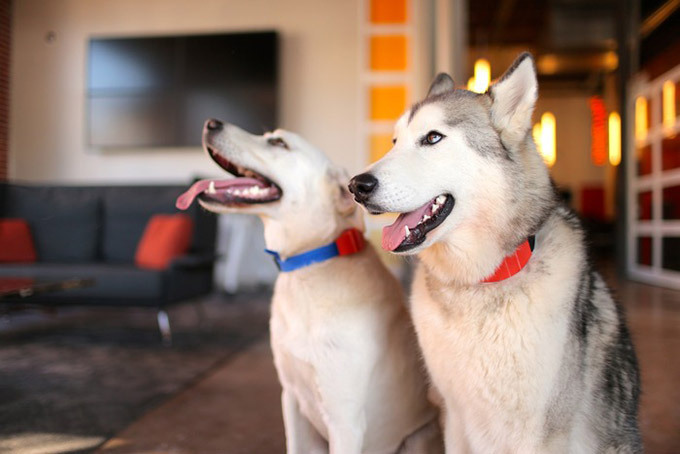 WUF The World’s Smartest Dog Collar? Wuf, the new smart dog collar that claims to be the “world’s smartest dog collar” is now available for preorder via Kickstarter. 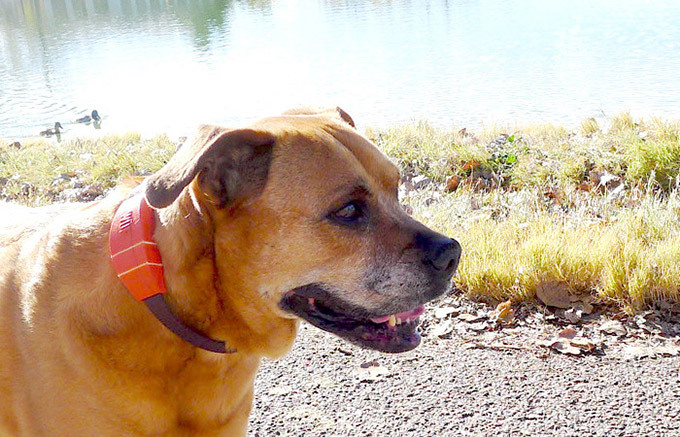 As a dog lover and a gadget lover I needed to dive in and see what it was that made the folks at Wuf believe they had the world’s smartest dog collar. The internet of things has made so many traditional devices “smart” find a way to sync a particularly analog device with the interwebs an app and your trusty smart phone and it’s a match made in heaven. These days there are smart locks, smart thermostats and even smart spoons. So what makes this dog collar smart? Well first it can help you track your dogs location. To some, dogs are their kids, to others their companions, family members and friends but we all know they can get lost which is devastating to a family. The loss of their family pet is what drove co-creator Sean Kelly to create Wuf. He tells the story that his dog went chasing a squirrel and ended up getting hit by a car. A combination of functions from the Wuf smart dog collar could have prevented that incident. Geofencing, GPS tracking and an alert that the dog was not in it’s correct place would have helped notify Kelly and his family on that tragic day. But Wuf isn’t just about protecting your dog from a curiously open gate. Wuf can actually track a dogs activity. Are you worried that your dog isn’t getting enough exercise, Wuf can let you know. Wuf can also let you know how much food to feed your dog based on their weight, and how much exercise they are getting every day. The feature that takes Wuf up a notch in my book (and I’ve seen a lot of smart dog collars) is the two way communication. Using the Wuf application and your smart phone you can talk to your dog, wait for them to bark back and talk some more. Is your dog great at vocal tricks? Now you can show him or her off at the office, the gym or even at a restaurant. Does your dog have anxiety when you leave for works. Is it causing problems with your neighbors? Using Wuf you’ll be able to talk to your dog and soothe it when it’s anxious. Wuf is good for every dog owner. “WÜF is for every responsible dog parent who wants to keep their “little monster” safe, healthy and well-behaved, while also interested to find new ways to play, learn and explore. ” the company says on their Kickstarter page. Are you ready for Wuf? You can preorder yours, here. Beware of this project folks. They’re starting their third crowdfunding campaign, and looking for investors as they messaged us saying the ones they spoke to weren’t investing. The original one was before kickstarter on indiegogo, and *closed* in May 2013 – apparently we were going to get our collars within 6 months at that point. So they’re now about 2 years overdue on the original stated release date, have removed their release date from Kickstarter – whatever that was (I didn’t back them on that cash grab) – and apparently don’t have capital to even make them at this time (today’s email). Also perhaps worth mentioning, they dropped the price for later investors (no word to those of us who paid more), and have changed the product quite a bit. They said “Hardware Startups are Hard! !” today for a reason for yet another delay — too bad they didn’t sort that out or some kind of plan (or speak to someone with actual experience) before taking customer’s hard earned cash. And then kept doing it over the years. Be very skeptical of preordering or investing in their next crowdfunding campaign – I wouldn’t touch this project with a ten foot pole until the product actually comes out assuming it ever does. I know I’m being hard, but then they collected about 100K of customer money just from crowdfunding without a solid plan (evidently, anyway) and not meeting promises at all. We can certainly expect some wiggle with unreleased products, especially from newly formed companies, but this one goes so much further than that. That deserves a few tough words in my opinion, and hopefully a consumer warning as I’ve invested in here.